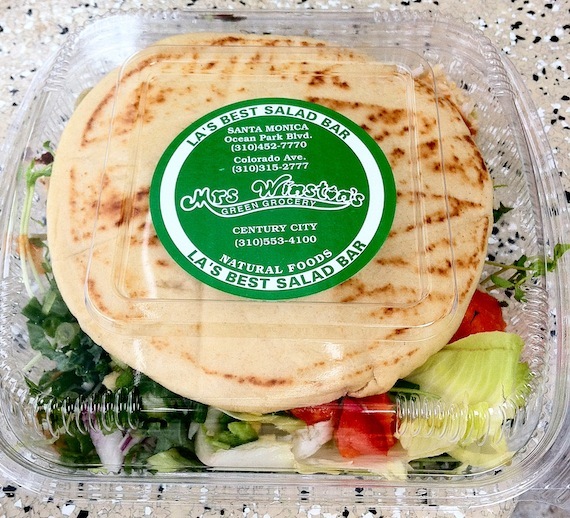 vegan naan in los angeles: get it at mrs. winston’s! as any curry-loving vegan will tell you, naan we can eat is very hard to come by. while many indian dishes are animal-free by default, the traditional flatbread is usually off limits due to its egg and butter content. well vegans in LA need look no further for the naan of their dreams—i found it yesterday at mrs. winston’s green grocery on ocean park, of all places! 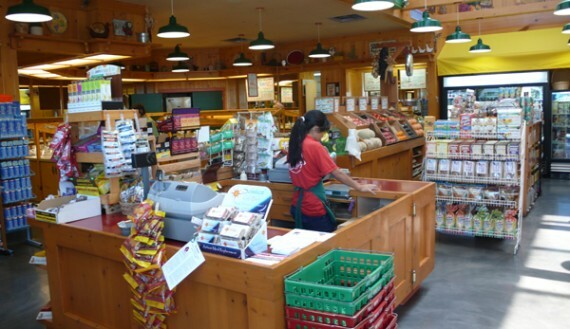 mrs. winston’s green grocery is a herbivore’s paradise. the small market has a few locations on LA’s west side, and each one comes equipped with a vegan-friendly salad bar that puts all other los angeles pay-by-weight buffet options to shame. 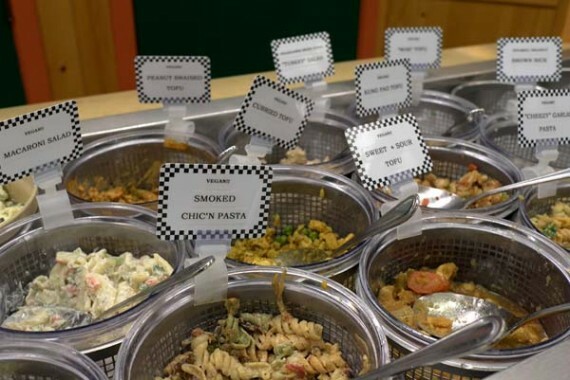 at $7.95 per pound, you have your pick of constantly rotating salads, pastas, vegetable, fake meats, soups, breads, desserts, and more. 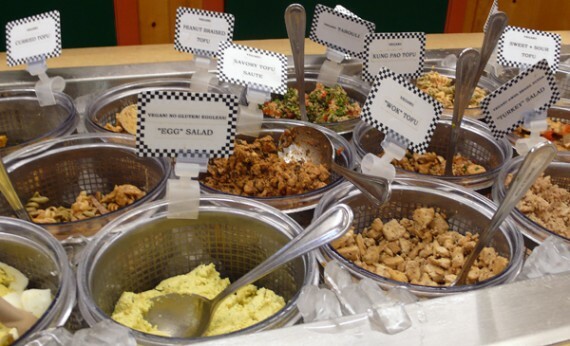 mrs. winston's salad bar. $7.95 per pound. vegans, forget everything you know. 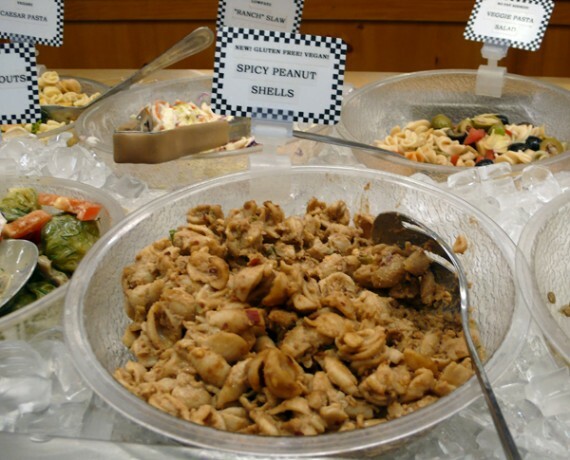 you have not been to a salad bar until you’ve been to mrs. winston’s green grocery. the small deli has a build-your-own salad and sandwich section that puts even the venice whole foods to shame. 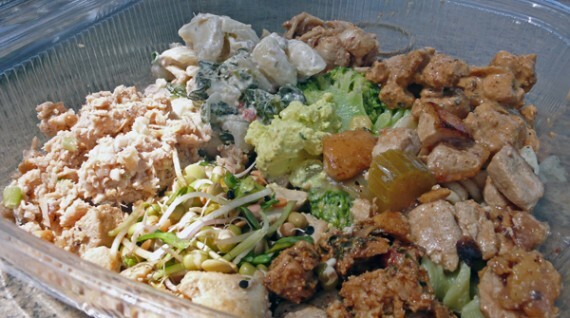 we hit up mrs. winston’s in santa monica over the weekend and enjoyed some overflowing boxes of salad on their pleasant outdoor patio. i can’t believe have a been a vegan in los angeles for so many years and this was only my first time eating here. the food completely blew my mind. 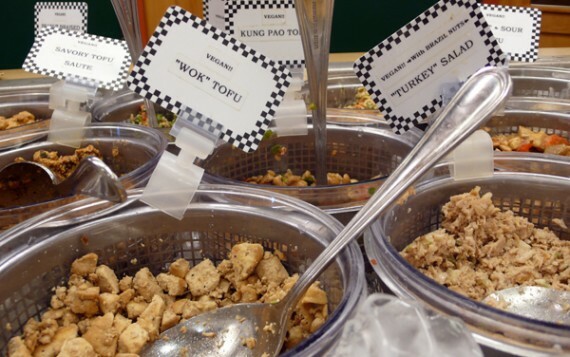 the long tables where you fill up your take-out container are just overflowing with fresh organic produce, vegan pastas, loads of specialty vegan items like “egg”, “turkey”, and “chicken” salad, plus about 20 different kinds of marinated tofu—all at just $7.95 per pound. vegan salad heaven, i am telling you! everything that’s vegan is clearly labeled as such, so there’s no guesswork involved in filling up your box with meatless goodness. there are about two walls full of just vegan offerings, and i think it would take several trips of gorging myself at mrs. winston’s before i could possibly try everything. 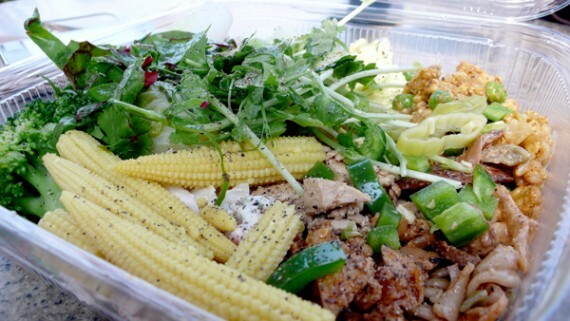 we shoved as much delicious food as we could into our take-out boxes, and completely stuffed ourselves for just $17. i definitely will be back to mrs. winston’s, and i can’t wait. 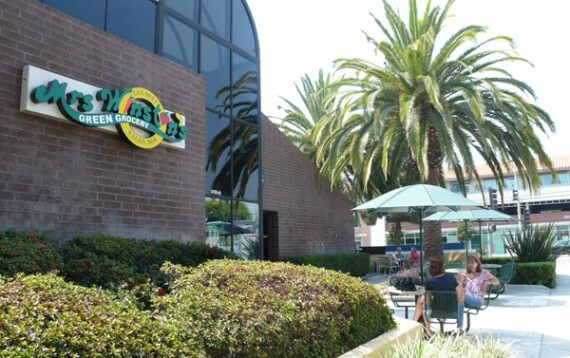 mrs. winstons actually has 3 locations on the westside—one on ocean park, one on colorado, and one on avenue of the stars. i went to the ocean park location, as i’m pretty sure it’s the only one open on weekends. so head over to mrs. winston’s green grocery as soon as you have a chance. and show up HUNGRY, because it’s the best vegan salad bar in town!